Have you seen this e-card? It’s about to come true! 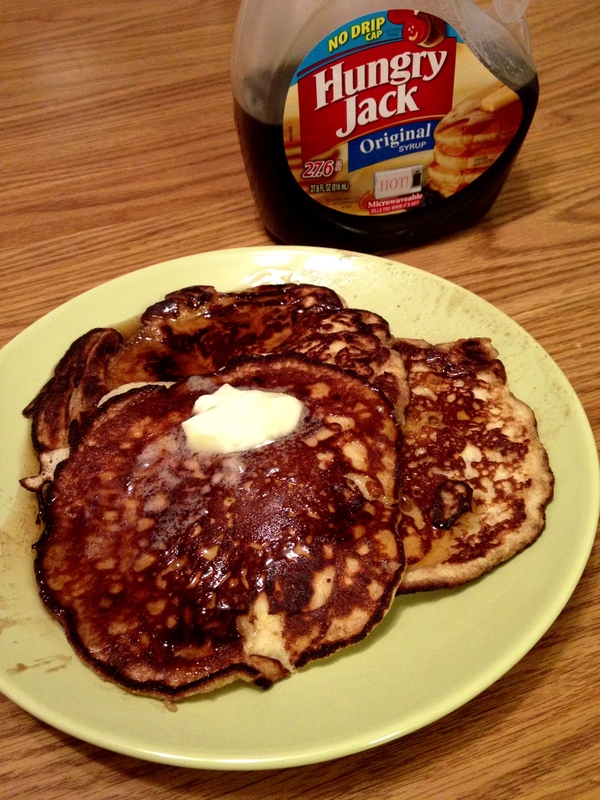 I was perusing Pinterest the other day and saw this recipe for paleo pancakes. Now, I am not on the paleo diet (I could never give up milk and bread products!) 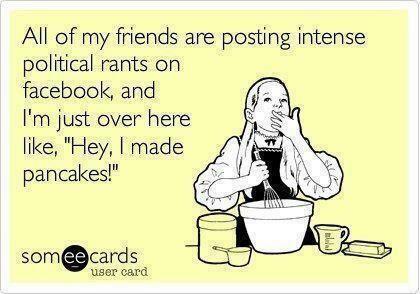 but I love regular pancakes with banana slices baked in. So I figured I’d give this a shot. I had to wait until I had a banana that was slightly brown as well. So behold! The recipe! 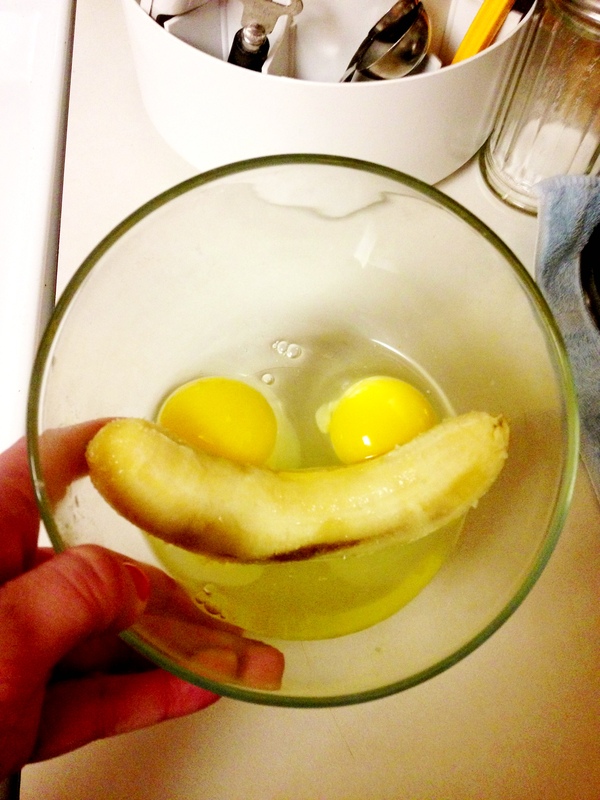 Two eggs and a banana. Look, they’re smiling at you. Super simple, right? I am skeptical but I persevere. After mushing things up for a bit I thought it was too runny (maybe I needed a bigger banana) so since I am not really on the paleo diet, I added about 2 tablespoons of flour, just to thicken it a bit. [Now that I have finished, I probably didn’t need the flour but it didn’t hurt either] Still a bit chunky but it’s never going to be perfectly smooth unless you put it through a food processor, which I don’t have. 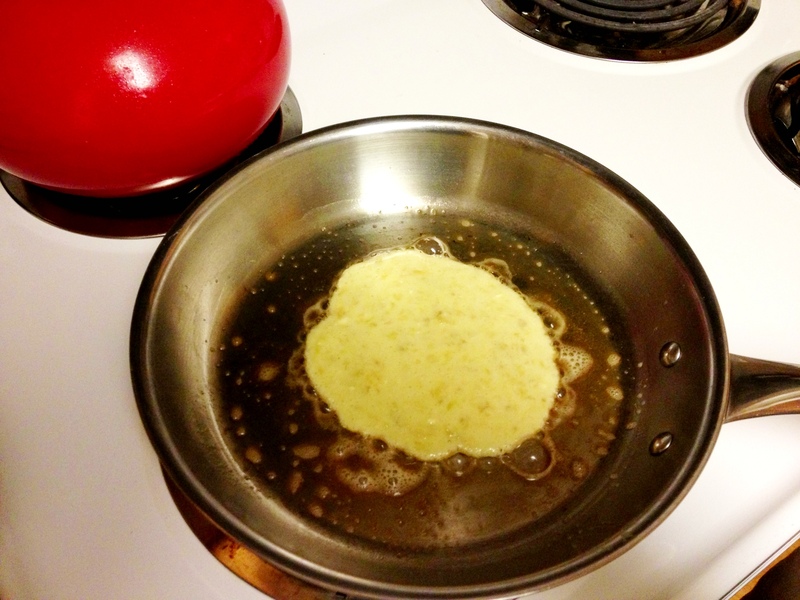 Here are the pancakes cooking. 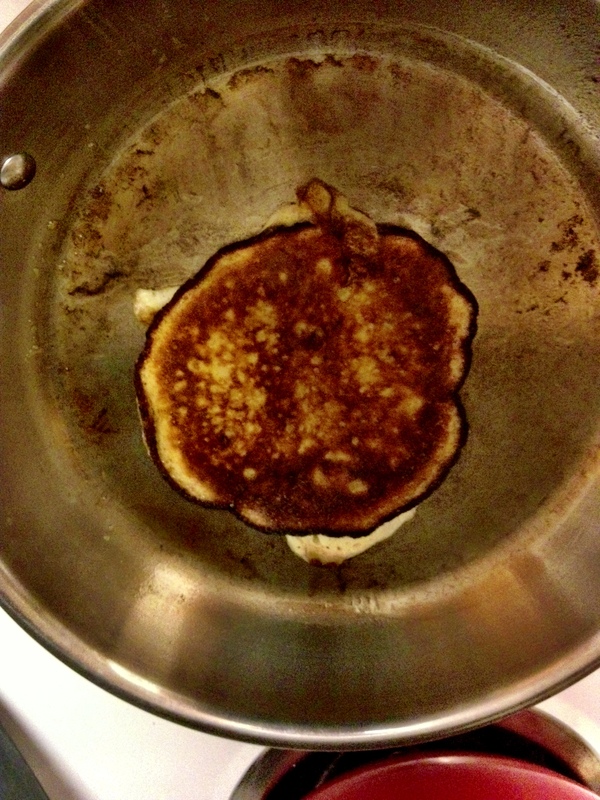 I’m not sure if it was just me having trouble with the stove (I have yet to cook pancakes in this apartment), but the center of the pancake was still runny when the outsides were cooked perfectly. So they splashed a bit when I flipped them. Oh well. And my pan was a bit hot so the butter burned a little. They still turned out fine. And my batter made three pancakes exactly, which is perfect for the single cooking girl. The finished product! Complete with maple syrup and a dollop of butter, just like in the cartoons. Hesitant first bite: YUM! I ate the entire stack in about one minute flat. Given, I already liked banana slices in my regular pancakes so I was bound to like these. The texture is more like German Pancakes, not surprising with eggs as the main ingredientConclusion? I will always make pancakes this way from now on! Bananas all the way! and there goes my diet.